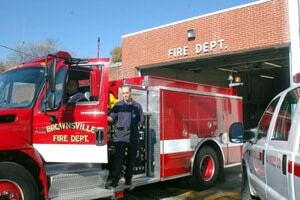 The Brownsville Haywood County Fire Department works under the direction of Fire Chief Mark Foster, who is a 35+ year veteran of the department. Chief Foster is certified by the Tennessee Commission on Firefighting as a Fire Officer I, Fire Department Instructor I and a Journeyman Firefighter. Chief Foster is an Assistant to the Commissioner with the State of Tennessee Department of Commerce and Insurance (State Fire Marshal’s Office ). Chief Foster also has specialized training in Fire and Arson Investigation, Hazardous Materials and Weapons of Mass Destruction Response and Vehicle Extrication. 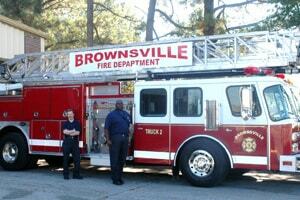 The Brownsville Fire Department is also a part of the State of Tennessee Office of Homeland Security – District 10. 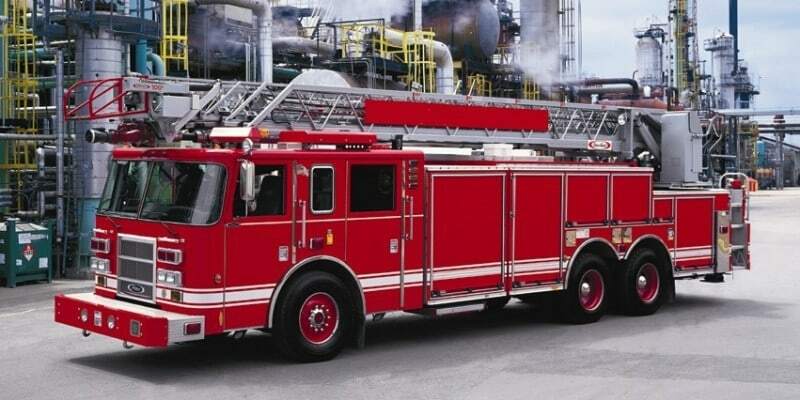 The local fire department has a Class 3 Insurance Services Organization (ISO) Rating inside the city limits and a Class 7/9 Rating in the county. The lower the rating the better rates citizens receive from insurance companies. The Fire Department serves a population of 19,797 citizens within an area of 534 square miles with a staff of 25 full time personnel and 100 volunteer personnel. 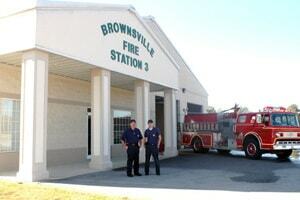 The Fire Department has 12 Fire Stations, three stations located in the city limits and nine stations located throughout the county. Station 1, 19 West Franklin St.
Station 2, 447 Dupree Ave.
Staiton 3, 1320 West Main St.
South Hatchie Vol. Fire Dept. Forked Deer Vol. Fire Dept. Belle Eagle Vol. Fire Dept.